What Scholarships Are Available for Native American Students? 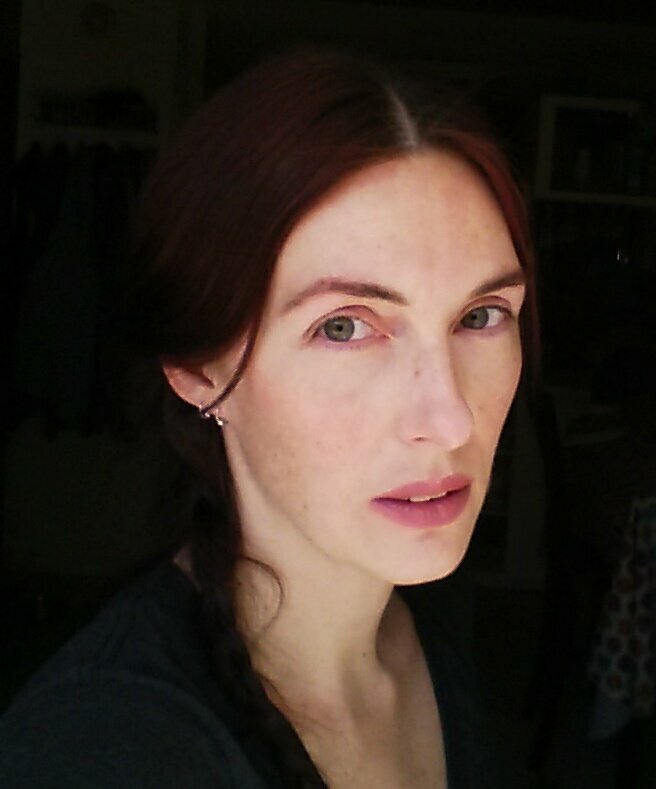 As an indigenous American, you may have seen your community struggle with poverty and unemployment. Yet, despite the obstacles, Native American students are attending college in record numbers, doubling in enrollment in the last 30 years. If you’re hoping to join the other Native American students attending college, you may be wondering how you'll cover college tuition. The good news is that there's a lot of financial help out there for Native American students who wish to enroll in a post-secondary program. There are tons of scholarship options out there for Native American students, but those opportunities can be difficult to track down. So here at Nitro, we’ve done the heavy lifting for you. 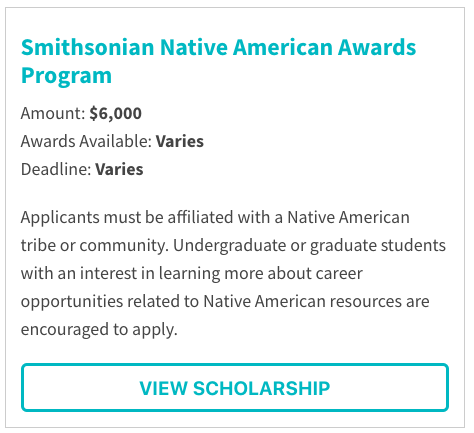 We've built a scholarship search engine specifically for Native American students. 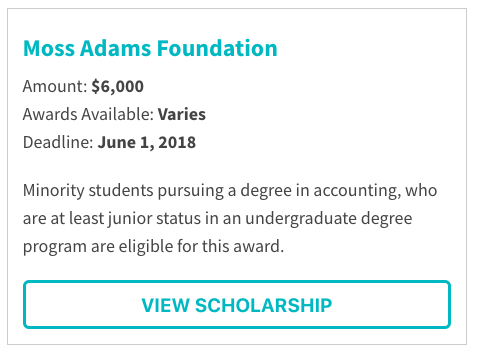 It has over 60 scholarships for you to search through and it’s super easy to use. Just select the category to search for in the drop-down menu and the results will populate below. You can also select to look for awards of a certain amount or for awards that are based on financial need. 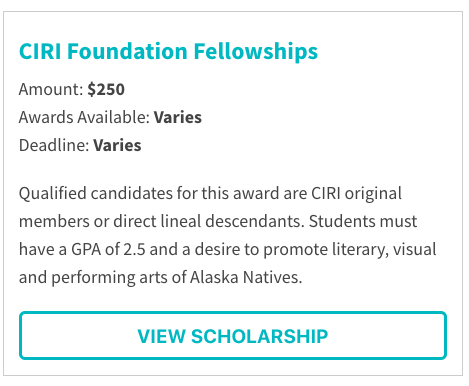 Let’s look through some of the scholarships offered to Native American students. 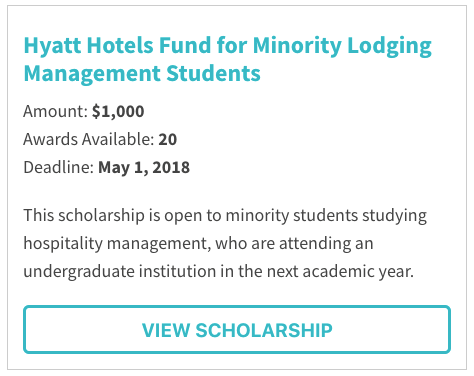 NOTE: Many of these scholarships are offered annually. If the deadlines have passed for this year, you should still take note of these opportunities for next year. Set a calendar reminder to check back in several months. Many college programs are making it a priority to bring together different cultures. Specifically, there's a push to encourage more under-represented populations to seek business degrees. Check out some of the scholarships for Native students seeking business degrees. STEM scholarships for Native American students cover a lot of majors and programs. 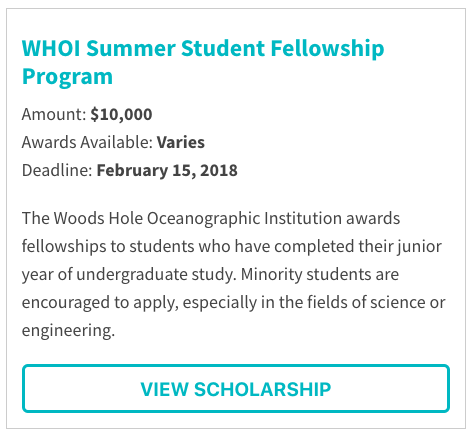 There are broad scholarships for students pursuing any science, tech, engineering, or math degree and there are also awards for students in very specific programs, such as natural resources. 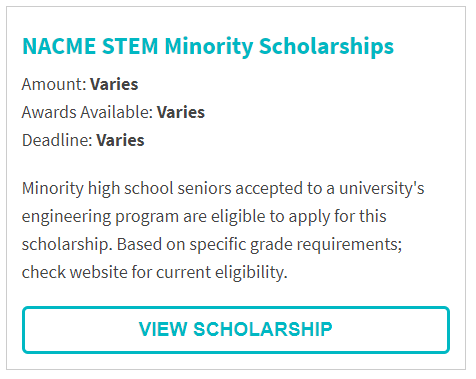 Here are some of the scholarships for Indigenous Americans interested in STEM degrees. 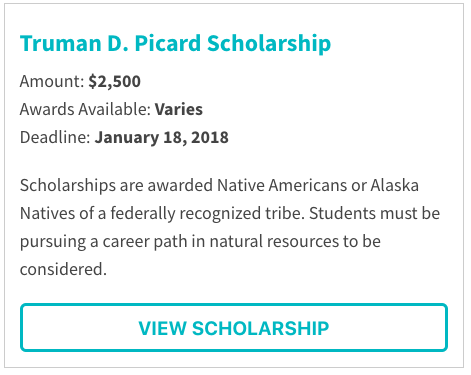 When you filter for scholarships by award amount, you’ll see there’s a lot of money out there for Indigenous American students. Here are a few of the biggest ones offered. Internship and fellowship opportunities exist for Native students in a wide range of studies, from business to the arts. 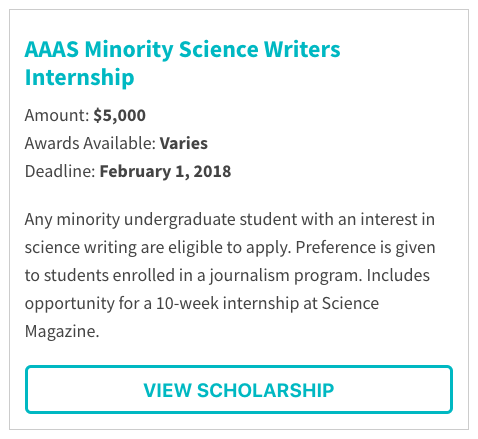 Some of these scholarships pay for full-time studies, while others offer money toward studies and internship options. To maximize the money you can use to pay for college, take a look through everything we’ve got on our Scholarships for Native Americans search engine. 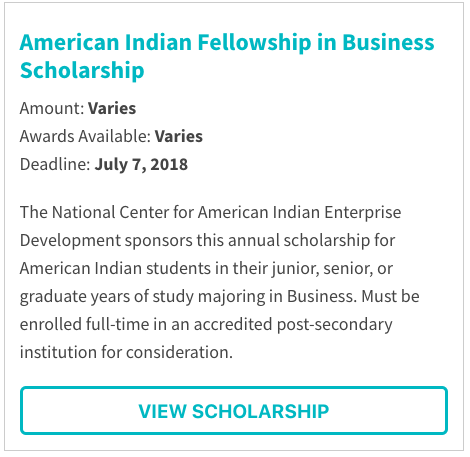 You can use the drop-down menu for a quick search, but we also recommend scrolling through all of the available scholarships for American Indian students. 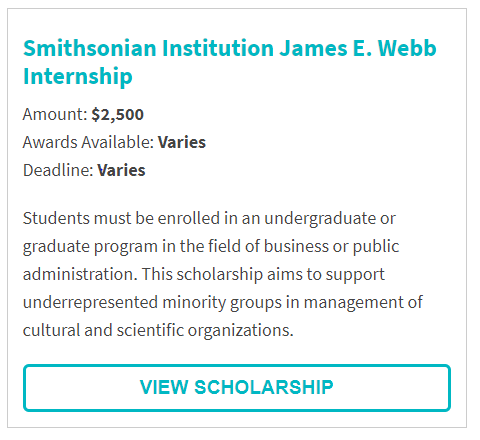 Some scholarships cover all tribes or groups of origin, as well as different fields of study, while some are very specific about potential recipients. There’s free money out there for Native American students. You just have to start looking!